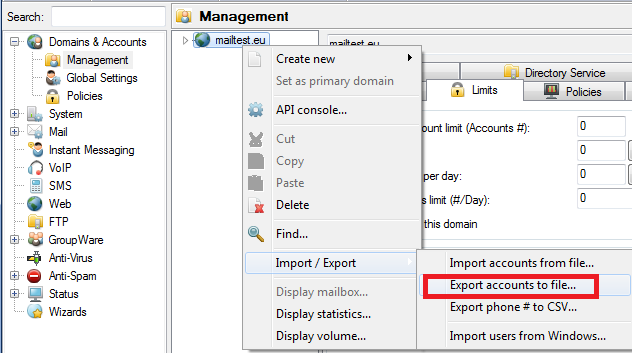 There are two ways to export accounts from the IceWarp Mail Server. You can export accounts and user-settings in an encoded form. From the console, highlight the domain you wish to export (you can hold shift and highlight multiple domains), RIGHT click, and choose "Export accounts to file". If you open the file with notepad. 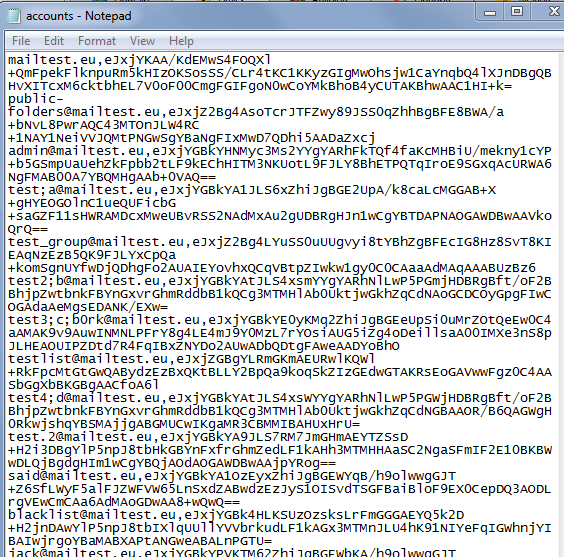 You will see the encoded data as shown below. You can also select the data you want to export by opening a command line and navigating to the IceWarp installation path and running the TOOL command. 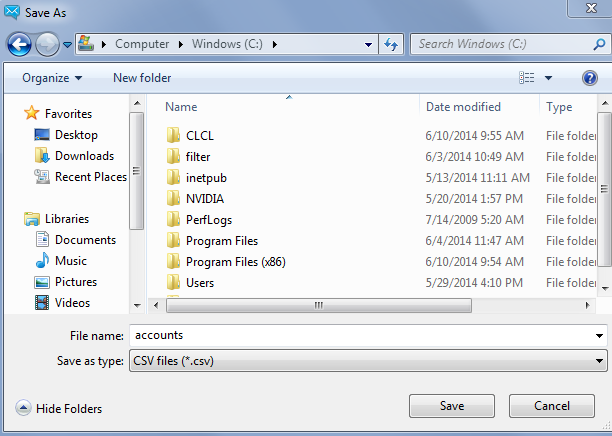 This will create a CSV style file with the data you want in the TXT file created.